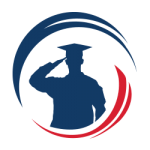 STAMFORD, Conn., Oct. 19, 2017 (GLOBE NEWSWIRE) — SoldierStrong, a nonprofit organization dedicated to providing advanced medical technologies to veterans, today announced that Former Navy SEAL commander, Rorke Denver, will host its 4th Annual SoldierSalute Gala to honor notable supporters. The gala is scheduled to take place on Thursday, October 19th, 2017, at 6 p.m. at The Union League of Philadelphia, PA.
Denver will lead the evening’s celebrations that will include a keynote address by former U.S. Secretary of Defense, Chuck Hagel, and deliver awards to the honorees. 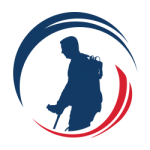 Army Veteran Dan Rose, who was injured while on active duty and left paralyzed, will stand and walk using the EksoGTTM wearable exoskeleton to demonstrate the type of devices that SoldierStrong donates. This year’s corporate honoree is Multistack, Inc., a leading distributor of modular water chillers. Over the last four years, Multistack has raised over $350,000 for SoldierStrong through the company’s fundraiser events. Individual honorees include Jon Runyan, former U.S. Representative and NFL player, Dr. Jerry Francesco and Lucille Francesco. 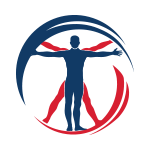 Established in 2009, SoldierStrong is committed to providing veterans access to cutting-edge medical technologies to help them overcome life-changing injuries sustained while on active duty. The organization uses the funds raised through various charity events, and the generosity of corporate and individual donors to purchase cutting-edge medical technology for veterans.